Outdoor living is increasingly becoming a very popular trend amongst property owners who are now focusing on getting the outdoor spaces on their properties designed by landscape specialists to maximize the space they have. We at Scapes and Stones get a lot of requests from property owners throughout greater Las Vegas, NV and surrounding regions. While some of these customers call in with their outdoor kitchen installation projects, others approach us with a very different kind of request. They tell us that they want some outdoor structures that are not as elaborate as an outdoor kitchen or a deck. We are the experts that focus on providing custom outdoor design concepts, and our landscape designers are more than happy to cater to all our customers, regardless of what the scale of the job is,. We work very closely with our clients, understand what their specific requirements are and then provide solutions that meet their needs to perfection. We provide custom design pergolas, gazebos, arbors as well as trellises. These features are all very simplistic in design, but are stunning and unique in their own way. Since they are custom designed for your garden or yard, they also fit in very beautifully with the rest of the landscaping elements you have in the space. Arbors - These are extremely simplistic, charming and basic structures. Installation is quick and they can be installed in one corner of your yard or garden. We could build timber arbors to create a stunning corner at the end of your landscape. All you need is a paved walkway leading to this area, from your patio or deck, to complete the effect. 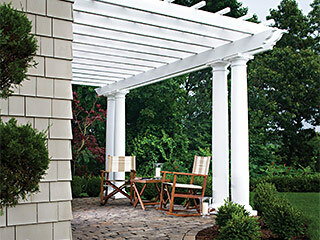 Pergolas - These are extremely versatile and popular landscape outdoor constructions. These could be built as standalone features in your garden; you also have the option to get these installed just above your patio or deck area. They are essentially timber slats that are fitted to columns. They are built along the exterior wall of your home, and provide the space underneath a certain amount of shade. Gazebos - These are classic features as they are used in a number of landscaping projects. 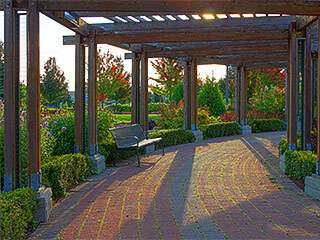 Gazebo design is very specific and it doesn’t always suit all types of landscaping. These are roofed structures that stand on timber or metal poles. The hexagonal structure will have half-height walls along its periphery. If you aren’t too sure about the type of outdoor structure you want, simply speak with the Scapes and Stones experts at this number 702-278-3228 and give us some more details about your project. You can also contact us through our online form and we will respond shortly.